On Feb 2, 2019, at 9 p.m. the "Leo Trio" was subject of a control by the water police station Brunsbüttel which found a considerable overload. The ship was loaded with potassium nitrate fumigant and bound from Hundested to Seville when it was stopped in the old lock of the Kiel Canal in Brunsbüttel. As the port-side freeboard mark already showed tropical freshwater mark, the police carried out measurements of the freeboard. These showed that the seasonal minimum freeboard had fallen below 94 millimeters, which corresponded to an overload of 76.5 tons. According to the statement of facts, the Association for Transport and Traffic imposed a sailing ban until the over-loaded fertilizer was unloaded and ordered the confiscation of a security deposit in the amount of 2,400 Euros. The vessel should also be subjected to a Port State control in Brunsbüttel. The vessel was released after the draught was corrected and left the berth in Brunsbüttel-Ostermoor on Feb 9 at 5.45 p.m. It resumed the voyage with a revised ETA at Seville as of Feb 19, 1 p.m.
General cargo vessel LEO TRIO was detained by Moroccan authorities in the evening Aug 22 off Agadir, for allegedly, sinking local fishing vessel off Jorf Lasfar in a collision early in the morning that day. There were 9 fishermen on board, 7 were rescued, 2 are missing. LEO TRIO, which is en route from Ceuta to Kaolack Senegal, was ordered to anchor on Agadir anchorage. As of 1530 UTC Aug 23, vessel was still on Agadir Anchorage. 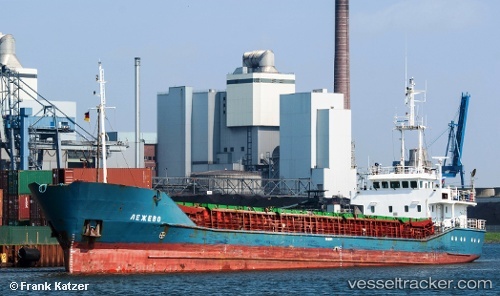 On May 8, 2012, at 5 p.m. the "Lezhevo" enroute Bilbao-Bornholmgat was in collision with the yacht "Huglo" which was also eastbound in the Kiel Canal and overtook the cargo ship at Schülp on starboard side. The yacht got caught between the pilings in the crossover and the hull of the ship. The yacht was badly bawled amidship and suffered significant damage. However, the boat remaind afloat and was able to enter the commmunal port of Rendsburg.